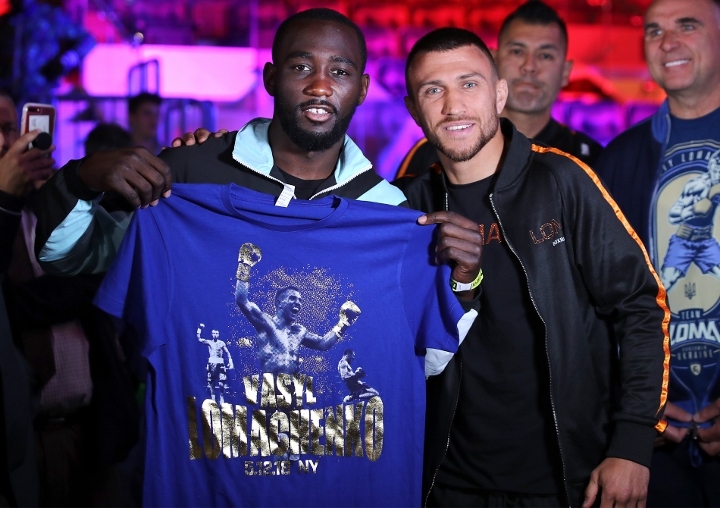 WBO welterweight champion Terence Crawford views himself as the best pound for pound fighter in the sport. For this reason, Crawford does not pay attention to the fact that Vasyl Lomachenko, the lightweight champion of the WBO and the WBA, is considered the best boxer in the world by some of the mainstream media. “I have not given much thought to that. It’s not even in my mind. My mind right now is on the date that I will face Khan. I’m more focused on that than on the pound-for-pound list. … (That recognition) will come, it will come. For me, [the goal] is to keep winning and showing myself at the top fighter as I have done. Everything will fall into place. I see myself as number one on the list, but everyone has their opinion,” Crawford told Jorge Loza. At 31, Crawford (34-0, 25 KOs) has won titles in three divisions (147, 140 and 135) and in 2017 he unified all four of the major titles at junior welterweight. Lomachenko (12-1, 9 KOs), on the other hand, had a meteoric rise, becoming champion of three divisions (126, 130 and 135) with only a dozen fights on his resume. The double Olympic gold medalist has victories over Gary Russell Jr. , Nicholas Walters , Guillermo Rigondeaux and Jorge Linares . “He is a great fighter. He has many abilities. I enjoy seeing him in action. He is very talented. Similarly, I see myself as number one,” said Crawford. Outside of the best pound-for-pound debate, Crawford wants to be at his best for his brawl with Khan on April 20 at Madison Square Garden in New York. “I take this fight very seriously. He (Khan) looks very determined and hungry to dethrone me. I have to be focused on my plan and I’ll make sure none of that happens,” Crawford said. On his future, Crawford did not want to look beyond the appointment with Khan. However, he has said on the record that he would like to fight against Errol Spence Jr. (25-0, 21 KOs), the welterweight champion of the International Boxing Federation (IBF).